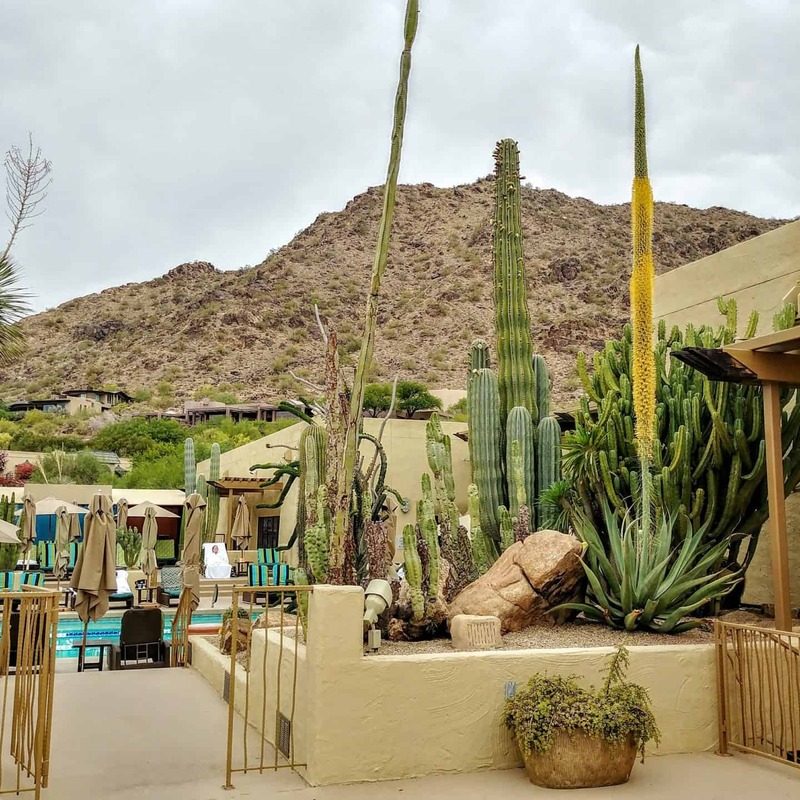 My husband and I had the opportunity to return to Scottsdale, one of our favorite destinations. 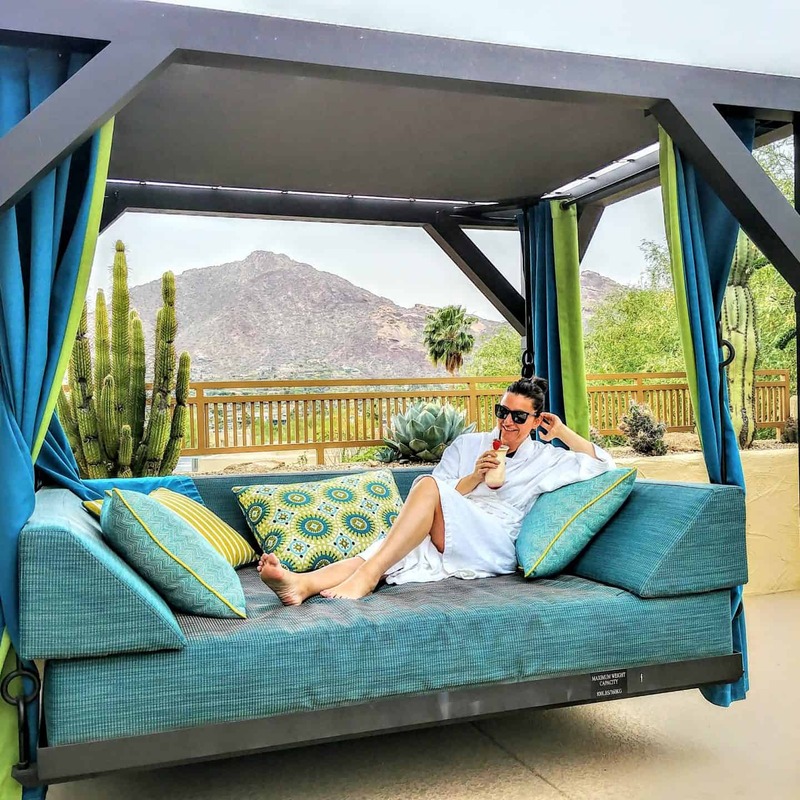 I don’t know about you, but when I think of Scottsdale, I think of desert (of course because that’s where it is) wellness and spas. On this trip, we were lucky enough to try not one, but two spa experiences. 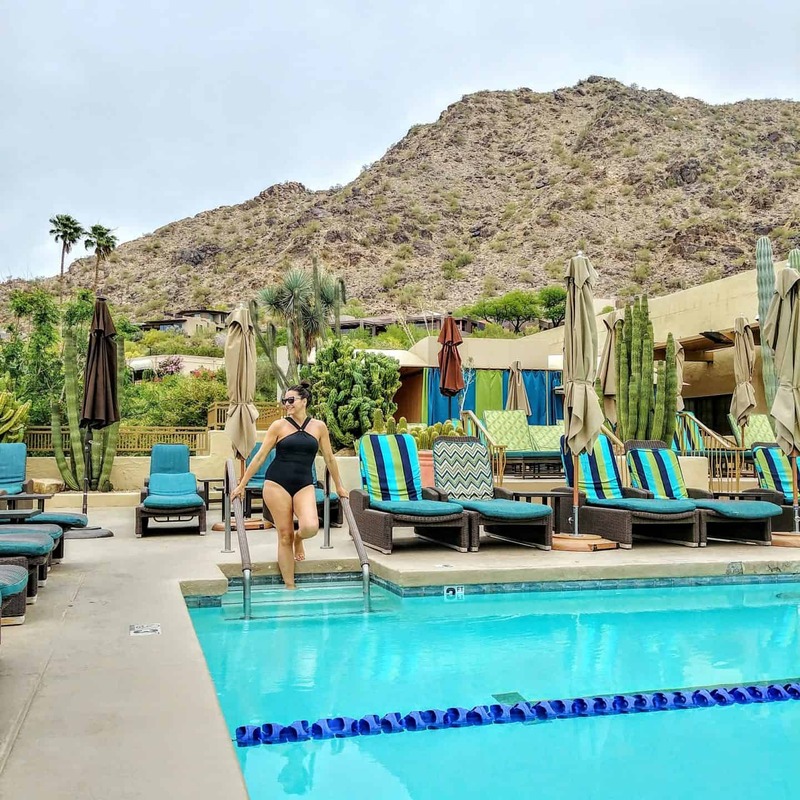 We visited Revive Spa in the JW Marriott Phoenix Desert Ridge Resort and Spa and the Spa at JW Marriott Scottsdale Camelback Inn Resort and Spa. Both resorts and spas are located in very scenic settings. 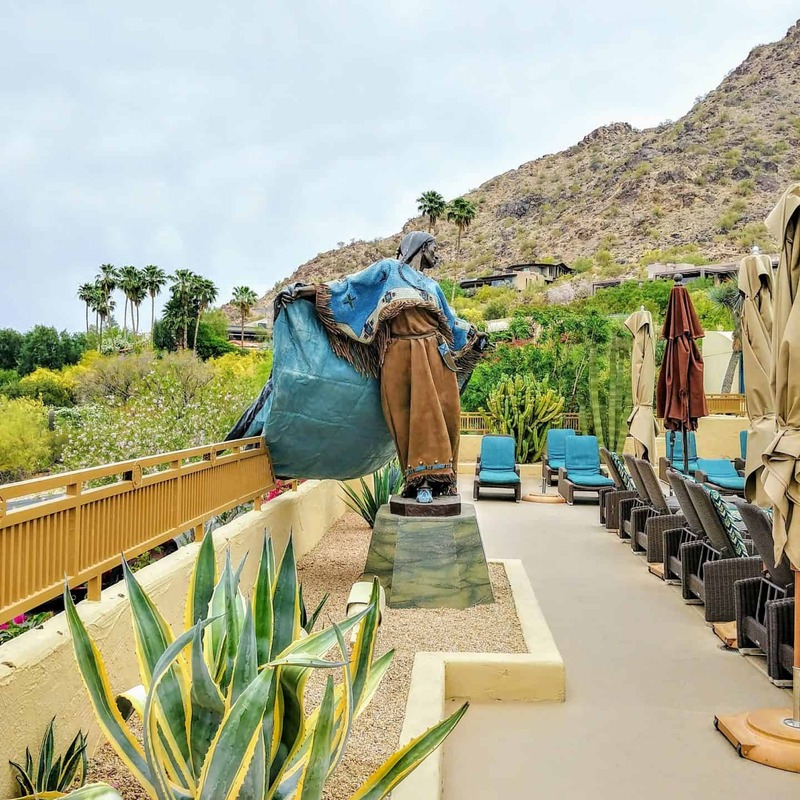 From the moment we checked into camelback resort spa to the time we left, we were so pampered. 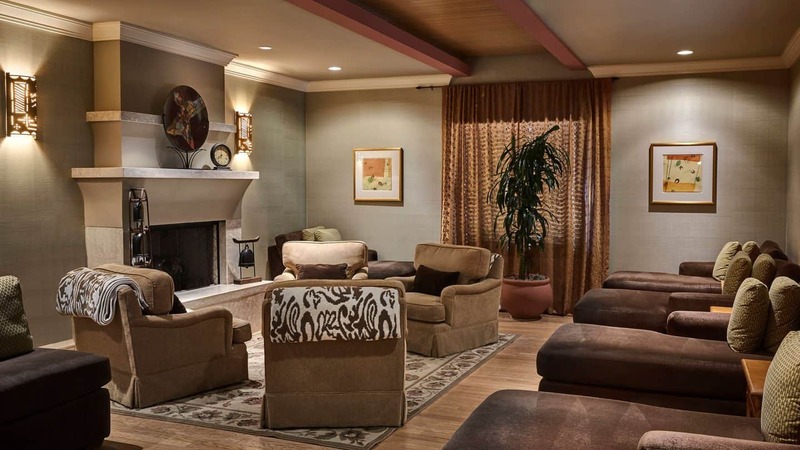 My husband and I were each guided to the change rooms where there is a steam room, hot tub and spa in the women’s change room as well as a tranquil sitting area where you can sit and enjoy some nibbles and a tea while waiting for your spa service. 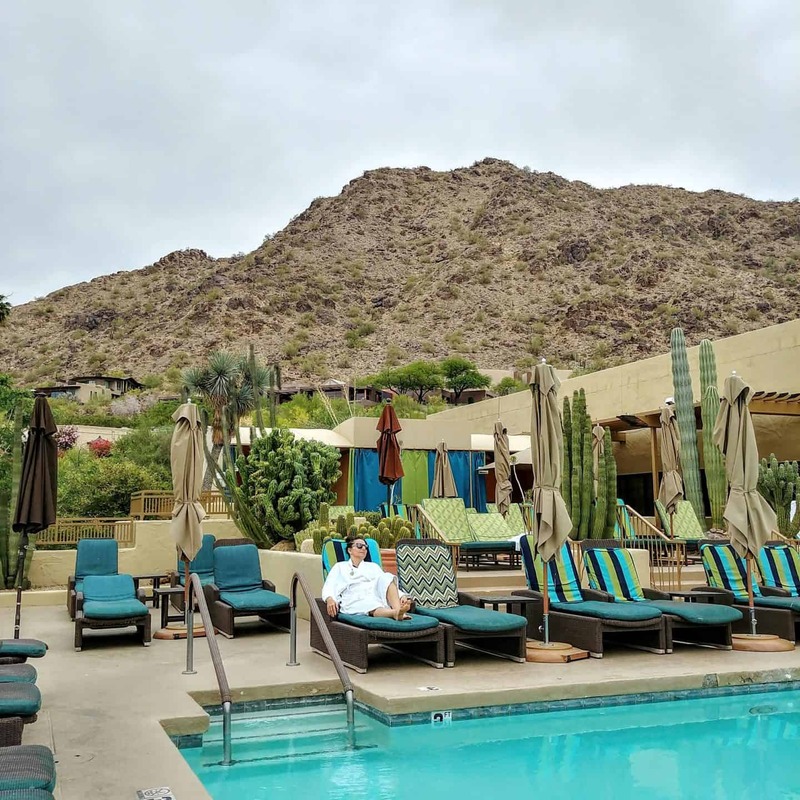 At the JW Marriott Camelback, I enjoyed the hot rock massage. This was my first time having a hot rock massage so I didn’t know what to expect. I was told that this would be the most relaxing massage I have ever had, and they were right. Rocks are heating in water and then massaged on your back, legs, and arms. The heat from the rocks was extremely soothing, I didn’t want it to end. I am pretty sure I caught myself drifting off into la-la land a couple of times (this is expected, it is that relaxing). After my spa treatment, I was left in my room to get dressed. My body couldn’t have been more relaxed. Lifting my jelly-like limbs and body to get dressed was a bit of a challenge. I could have easily napped for an hour or so after my treatment. I was escorted back to the lounge area to sit and enjoy some tea and the other amenities. After my treatment, I met my husband by the pool, where it is co-ed. It was a bit later in the afternoon so we pretty much had the pool to ourselves to enjoy a nice Pina colada (like I needed any more relaxing) lounging by the pool. My husband had a mud treatment and he could not stop talking about how wonderful it was. Trust me, he was very wary of having any kind of body treatment except for a massage, so you know it was that good. He couldn’t believe how soft his skin felt. The mud treatment that was also a body exfoliation, left his skin feeling renewed. He was so excited that he can’t wait to have another treatment (don’t tell him I told you that). After lounging by the pool for some time, we decided it was time to drag our very relaxed bodies to shower. The showers have everything you will need from shampoo, conditioner, body wash, razors, combs, deodorant…….okay, the list goes on and on so if you forgot something, girl, they have you covered! Definitely one of the best spas in Scottsdale Az. 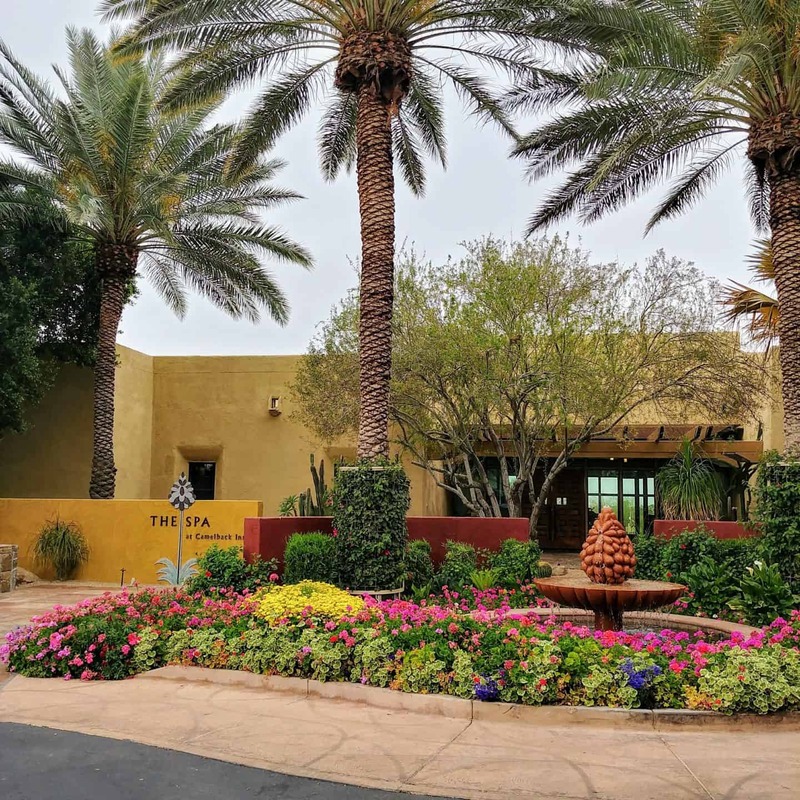 Revive Spa at JW Marriott Desert Ridge has been recognized by Conde Nast Traveler Magazine readers as one of the Top Resort Spas in the U.S. Our Phoenix day spa has also been rated “One of America’s Best Spas” by Mobil Travel Guide. 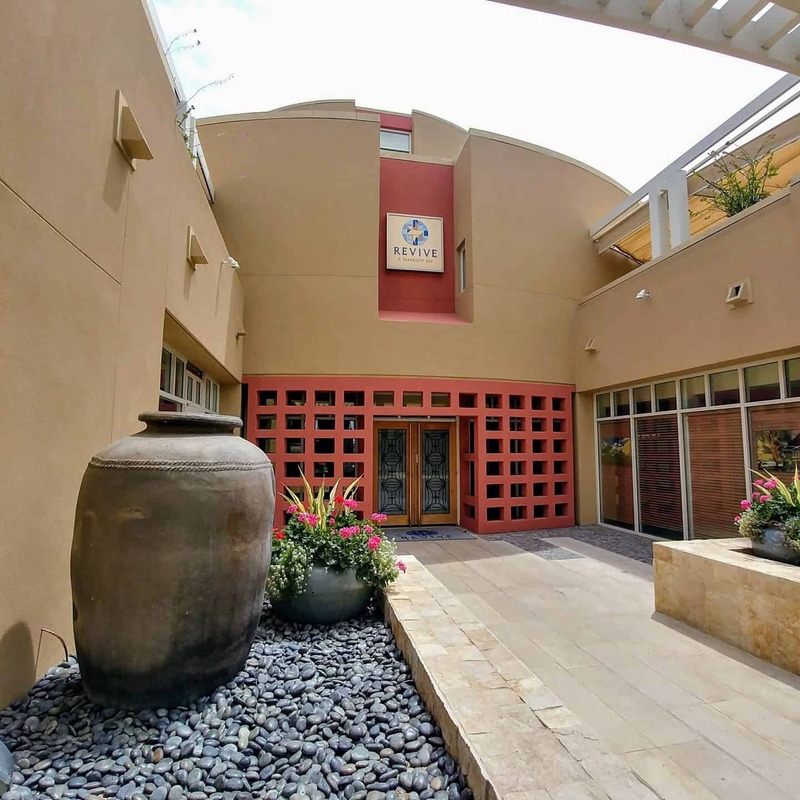 This 28,000 square foot sanctuary with 41 elegantly appointed treatment rooms offer a diverse menu of spa experiences that incorporate indigenous ingredients, making it one of the best day spas in Phoenix. Their signature treatments combine ancient rituals with modern, cutting-edge techniques. Once we checked in my husband and I were escorted to the change rooms. After changing into my robe, I sat in the relaxation room and relaxed sipping on my tea waiting for my treatment. It was so peaceful I could have sat there all day. 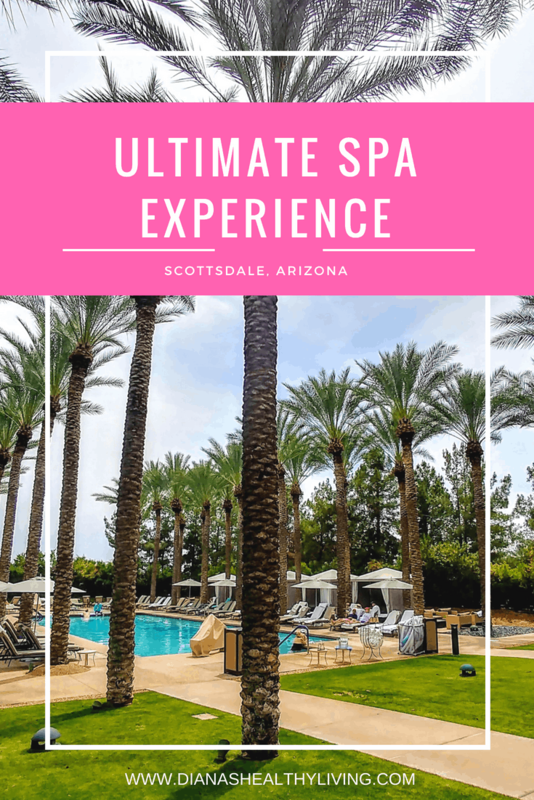 Both my husband and I enjoyed relaxation massages especially after all the exploring we have been doing in Scottsdale. 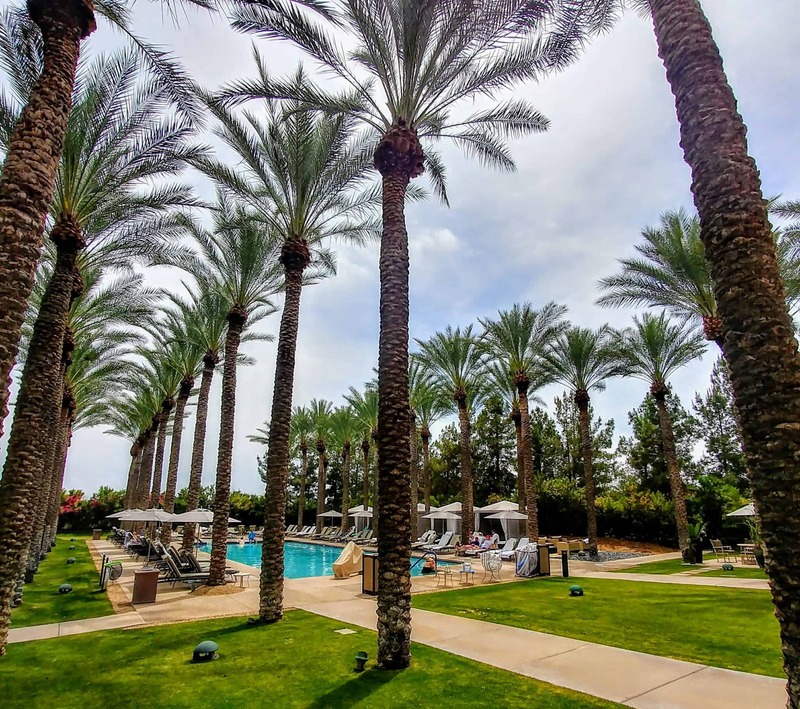 The Revive Spa at JW Marriot Desert Ridge sanctuary pool is stunning with the lined palms trees. How can you not relax in a setting like this? 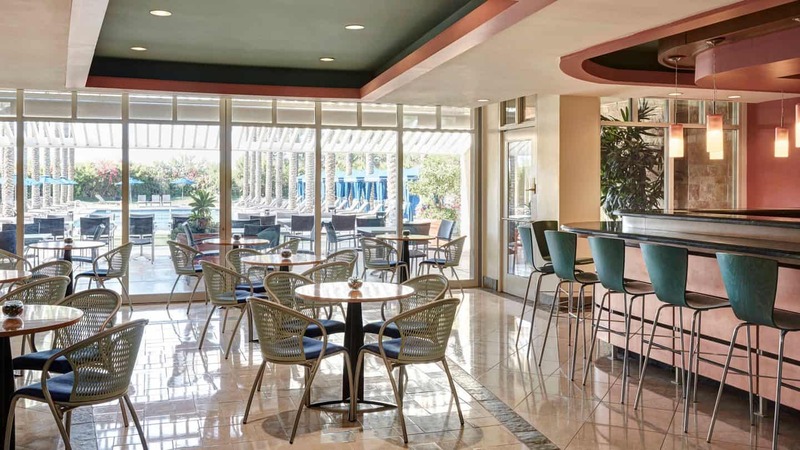 They also have a Spa Bistro that offers healthy meals. Revive spa also offers a full-service salon offering haircuts, colors, manicures, and pedicures. A huge thank you to both spas for taking such great care of us and ensuring a luxurious and relaxing day. Disclaimer: I was hosted by JW Marriott Resorts. As always, all opinions are my own. 2 spa experiences? You lucky duck 😉 I do think desert when dwelling on this region. But it has a bit more to offer I see. Namely, rocking spas. Just moved to Scottsdale and can’t wait to get try these!